Home » Dr. Rinky Kapoor got an article published in Dermatalk – a medical dermatology and cosmetology publication – July 2018 edition. 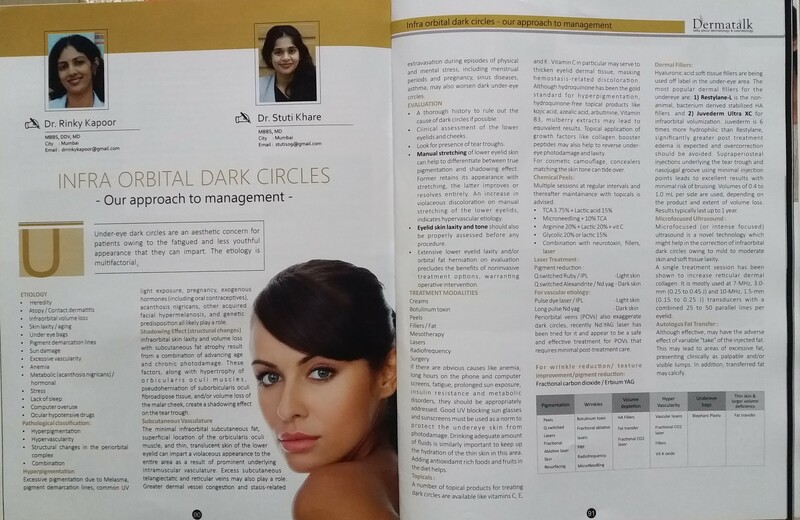 Dr. Rinky Kapoor, MBBS, DDV, MD, Cosmetic Dermatologist & Dermato-Surgeon, recently published an article on “Infra Orbital Dark Circles – our approach to management” in Dermatalk – a medical dermatology and cosmetology publication – July 2018 edition. Dermatalk is an international magazine read and appreciated by dermatologists and plastic surgeons across Asia and the Middle East.